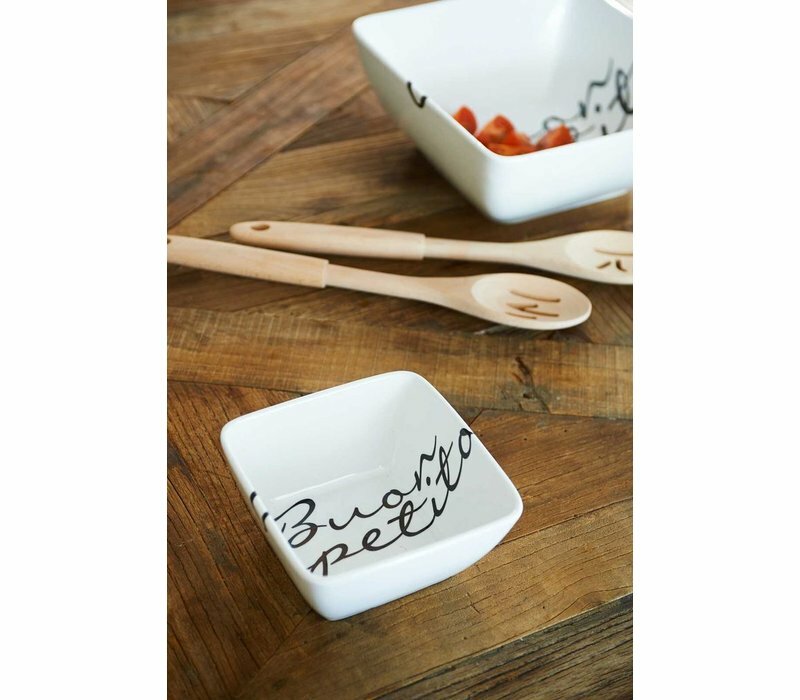 The Buon Appetito Bowl M is perfect for soup, yogurt or a mix of fresh fruit. 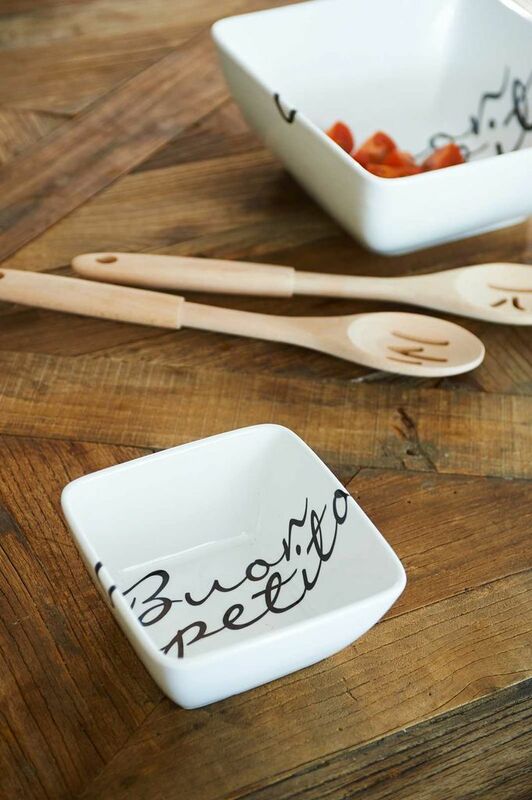 A chic porcelin bowl with the text ‘Bon Appetitio’ in the middle. 14cm width, 7,5cm height, 14cm length.